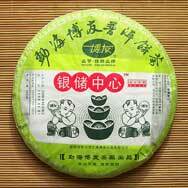 Produced by Boyou Tea Factory, Yin Chu Zhong Xin Bing Cha means "Silver Savings Centre Tea Cake". 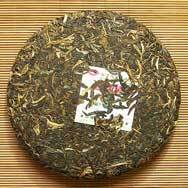 This high quality Pu'er tea cake is compressed using first grade, early spring tea leaves that are harvested from high mountain areas in Menghai (1600 meters above sea level). This is a solidly good tea that has lost much of its bitterness. There is just a little natural sweetness to it. The Sheng flavor is pronounced, but not overpowering. Like all the rest of my purchase it was well wrapped to survive the Pacific. 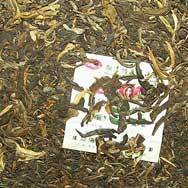 I think it will be a five star tea with one to two years aging.